Finals week is over, which means I finished my very last final ever yesterday! 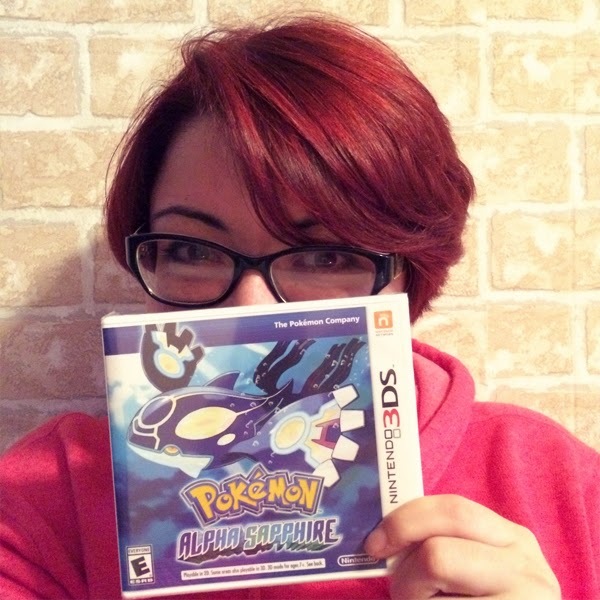 To celebrate I went and bought Pokémon Alpha Sapphire, which I've been playing ever since. So that's pretty much just been yesterday and part of today, minus a few minutes to get caught up on tv shows with my mom. We went through several episodes of Once Upon a Time, Major Crimes, Greys Anatomy, and I think there was another show we watched but I can't really remember it. Generation three of Pokémon is my favorite hence I was super excited to finally get this game, for those who don't know it is a remake of the third generation. Now I'm getting ready for work, I'll talk to you lovelies again tomorrow!